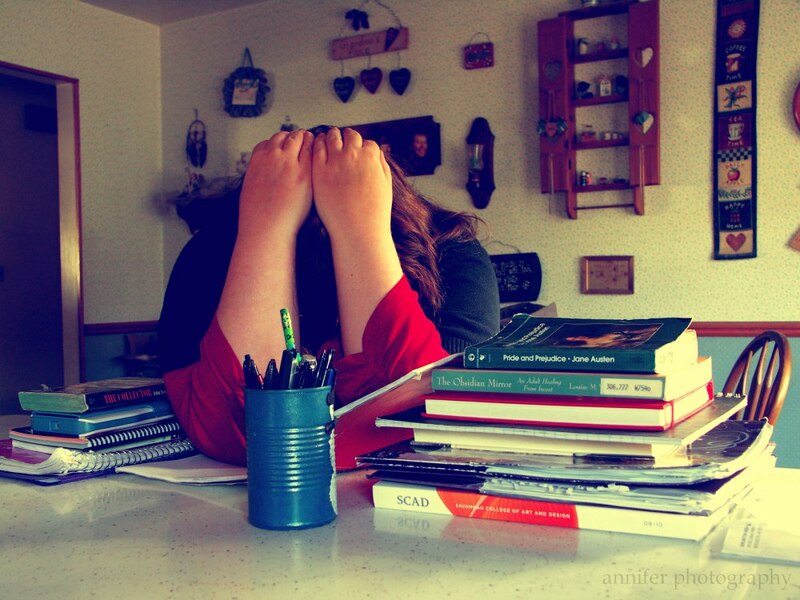 It's that time of year when middle and high school students are feeling the pain of finals. Some have papers to write, while others are facing a huge Bio final. And some students have multiple finals and large projects to complete before the year is out. I often notice a sense of panic and stress cropping up this time of year, and understandably so. It can be tricky for any of us to juggle multiple deadlines, long hours of study, and lots of time in front of the computer or notes. Here's one quick way I can recommend to help students deal with the stress of this time. I call it "Best Case Scenario/Worst Case Scenario." The idea is this: students journal about the worst possible scenario related to finals. An example would be, "I didn't have enough time to study. I didn't understand several chapters of my math textbook and I don't have time to ask my teacher or parents for help. I can't figure out how to start my essay and I'm behind on my research. I will have to stay up all night for two nights in a row just to get everything done. I won't get to see my friends or do anything fun. I will fail all of my finals and I won't pass the 10th grade." I encourage students to make it as awful as possible…the most horrid outcome they can imagine. Next, I have them write the best case scenario. It might look like this, "I sail through my English essay with ease. I have no trouble at all analyzing The Great Gatsby and I even find that I like quite a lot of what I write! I start studying for my Bio final and find that I really do understand most of what I learned. I have several days before the test, so I know I can ask my teacher for extra help on the sections I don't understand. And I know I can plan my days so that I have time to study, rest, and even do something fun on Friday night. I know I'm going to do a great job on my finals this year." Although they may not believe everything they write, encourage them to think about the best things they would want to happen. Then, I ask students to sit down with both stories. I ask them what is realistically going to happen from each story. Yes, they may not understand those math chapters, but is it realistic to think they don't have time to get help? Writing that Great Gatsby paper may not feel like a breeze, but can they see the ways in which they have a grasp on what to write and how they can move forward? Often, seeing the two scenarios laid out like this helps students find a middle ground that is more realistic, and the reframing can help them see options they may not have considered while they were in full stress mode. After spending 10-15 minutes on this, they can face their tasks with less stress and a more grounded picture of how they're going to get through finals. I'm happy to do this exercise with students the next two weeks; let me know if your child is facing finals stress and we can break out the pen and paper at our next session. Copyright 2017. Katrina Dreamer. All rights reserved.